If only because of their sheer size, weight, and difficulty to maneuver, large commercial trucks are more inherently dangerous than virtually any other type of motor vehicle on our nation’s roadways, even under the most favorable circumstances. The risk of serious truck accidents due to malfunctioning brakes, defective roads, inclement weather, and other factors is already unfortunately high. However, when you put an exhausted driver behind the wheel of a large commercial truck, you have a true recipe for disaster - quite possibly a lethal disaster. Truck drivers and the companies that employ them owe the drivers and occupants of other vehicles on the road a particular duty of care. When they fail to uphold this duty by behaving negligently, they can be held liable for any injuries or deaths that result. If a driver operates his or her truck while fatigued, he or she is acting negligently. That trucker, his or her employer, or both can be held financially responsible for the losses and expenses suffered by the victims of any accident that occurred due to that negligence. When it comes to handling cases involving trucking accidents and fatigue, the Scranton personal injury attorneys of The Foley Law Firm have extensive skill and experience that set them apart from their peers. They are renowned throughout the state of Pennsylvania and the entire country for their tireless commitment to justice and the best interests of their clients, their fearless willingness to stand up to the biggest insurance and trucking companies in the nation, and their impressive record of success in handling complex cases of all types. If you have been injured in a trucking accident, or if someone in your family has been injured or tragically killed in such an accident, they would be pleased to help you, too. Studies have shown that driving while fatigued is as dangerous as driving while under the influence of alcohol or drugs. Truckers are regulated by laws that prohibit them from driving while fatigued, as well as by laws that limit the number of hours they are permitted to drive during a given span. They are obligated to take breaks at given times and to sleep for a set amount of hours before being allowed to drive again. While most truckers follow these laws, there are those who ignore them, some of their own free will, and some because they are told to by their employers. Usually, there is a financial motivation behind the decision to push forward through the fatigue. In some cases, illegal substances are used to help the driver fight his or her exhaustion, which opens up an entire different type of negligence. Whatever the circumstances, our personal injury lawyers will use all of the resources at their disposal to investigate and reconstruct the truck accident in order to present the strongest case possible on your behalf. 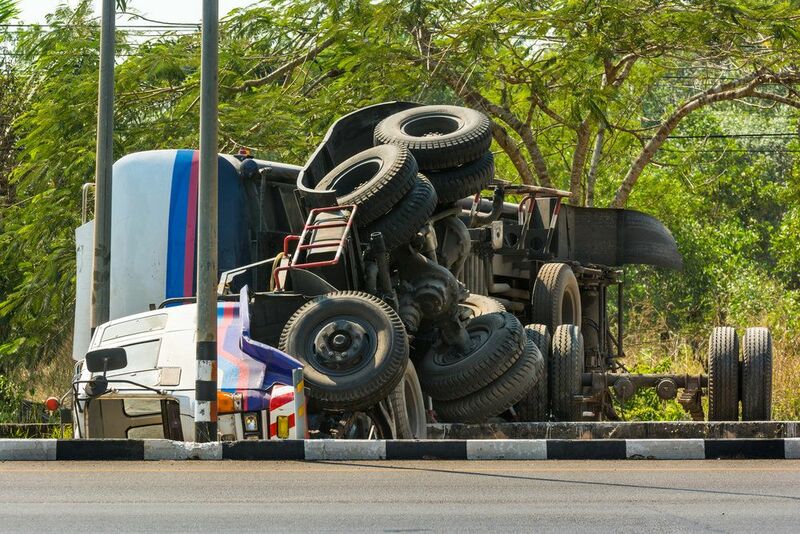 To arrange for an evaluation of your trucking accident case, please contact The Foley Law Firm today.